In the first instalment of this set of reflections on the Buddha, we examined questions related to the historicity of the Buddha and various events traditionally associated with his life, as well as his relationship to other currents of thought present in his day that have continued to the present: the movement associated with the Upaniṣads , as found today in Hindu traditions, and the renunciant tradition today known as Jainism. In this essay, we shall delve into the concept of No Self. Specifically, we shall explore the question, “Is the Buddha’s teaching of No Self compatible with the Vedāntic doctrine of Self?” The answer may be less obvious and more complex than it at first appears. As discussed in the previous essay, attempts to project contemporary identity politics on the Buddha, though perhaps unavoidable, are ultimately inadequate to the complex reality that he represents. Was he a revolutionary against an oppressive caste system? Certainly those who today struggle to reform or overturn caste are heartened to see this figure, one of the greatest beings to have walked the earth, as an ally in this cause. And yet to regard him as wholly original, and thus wholly other to the traditions with which he interacted, is to feed into a narrative that results not in the transformation of those whose hearts need to be opened to their fellow human beings, but in their demonization. Buddha taught not, “Down with the Brahmins!” He taught, “It is not by one’s birth, but by one’s deeds that one becomes a Brahmin.” Simultaneously, to see him as a Hindu reformer risks the error of denying the distinctiveness of the system of thought and practice that has arisen on the basis of his teachings and example. And it would be equally accurate, or inaccurate, to see him as a Jain reformer, given his indebtedness to the Jain tradition: its terminology, its practices, and its universal ethical vision. 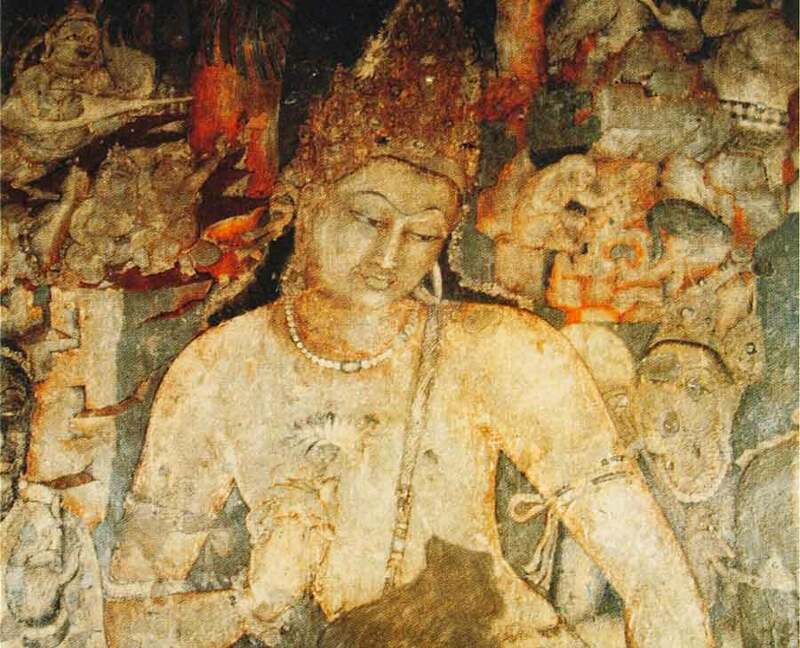 The Buddha stands at the confluence of the traditions of his time: Jainism, early Vedānta, Vedic ritualism, Sāṃkhya, Yoga, and of course materialist skepticism. All of these are in various ways reflected and engaged in his teachings, as preserved by his followers. A question remains, though, even if one sets identity politics aside. Regardless of any contemporary label that one may or may not wish to apply to him, how compatible, in the end, is the Buddha’s teaching with what has emerged as the Vedānta tradition? This is a question most likely to be raised by a Vedāntic practitioner (like myself) who admires the Buddha greatly and sees in his teaching a source of profound wisdom, and a light to the world. It is a question that also follows quite naturally from a pluralistic conception of truth, as described by Sri Ramakrishna and Swami Vivekananda, as present in all of the spiritual movements of history, and in the teachings of all the great masters. It thus need not be seen as a politically motivated attempt to co-opt the Buddha for Hinduism, but rather as a sincere question that arises from practice: Did the Buddha see, and does his teaching thus point toward, the same realities that masters have seen in other traditions? Finally, it is also a question that arises from a desire for greater interfaith dialogue and a mutual exchange of wisdom. If it is impossible to connect the Buddha’s teaching on the ultimate nature of reality with the insights of other masters, such an exchange becomes a difficult proposition. We end up, instead, in a world of incompatible, incommensurable claims. This is highly unsatisfying if we believe that there ultimately is such a thing as a shared reality that we all inhabit, a world for whose welfare we are deeply concerned. The question centers on that most distinctive of Buddhist teachings: the doctrine of No Self, or, in the Pāli language of the earliest Buddhist scriptures, anatta. In contrast with at least the mainstream of Upaniṣadic thought, as well as with Jainism, the Buddha does not emphasize the immortality of the Self, or ātman, nor does he point to the realization of this Self as the highest spiritual goal. In stark contrast to such affirmations, he teaches that no such thing as a self is anywhere to be found. This teaching of No Self is not only the most distinctive of Buddhist doctrines. It is also the most misunderstood. Coming from a contemporary western context, in which there is a widespread and well-known clash between the ideologies of Christianity and atheistic materialism, if one hears that someone is denying a self, the immediate assumption is that this person must be a materialist, denying the reality of a soul that survives beyond death and affirming instead that consciousness and its contents are nothing more or less than a byproduct of physical processes. Such a view may also sometimes be overlaid with more of a postmodern conception of selfhood as a cultural construct. But there is still a deeply held assumption that all that might be called “self” will simply vanish upon the death of the physical body, except perhaps in the memories of those who knew the person while the person was still alive, or in the form of artefacts that the person has left behind. 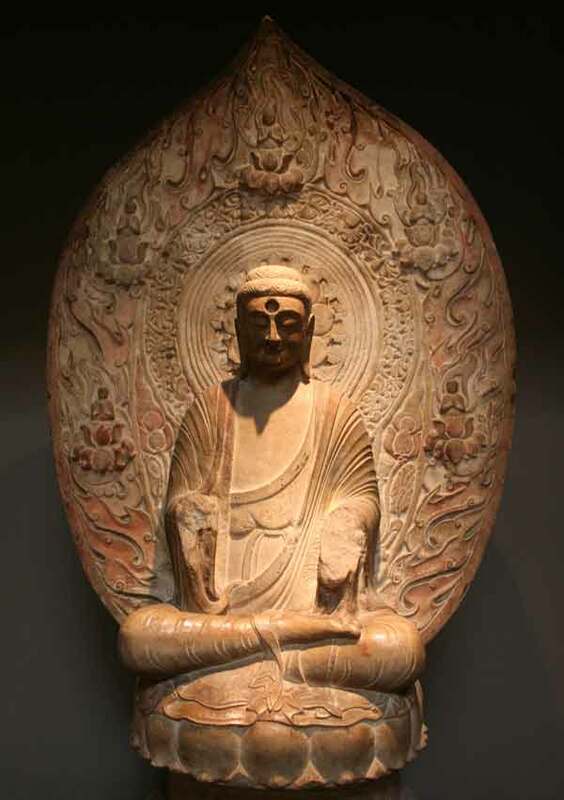 Coming from this context, the assumption is quickly made that the Buddha held such a view: that he was a materialist who saw consciousness as a mere byproduct of the body, and self as nothing other than a psychological (and by extension, cultural) construct. And indeed, there are contemporary Buddhists in the west who take this view, or one like it. Admiring Buddhist moral teaching and finding benefit in the mental cultivation that the Buddha taught, but simultaneously buying into the materialist view predominant in many intellectual circles, they see views that affirm such concepts as reincarnation and the fundamental nature of consciousness as intrinsic to the nature of reality as quaint cultural relics, non-essential to the real gist of the Buddha’s teaching, which is taken to be a kind of ancient Indian secular humanism. Stephen Batchelor’s Buddhism without Beliefs is an example of a work that reflects this perspective, seeing the idea of rebirth as dispensable. This is not, however, to quote the title of the classic introduction to Theravāda Buddhism by the Venerable Walpola Rahula, what the Buddha taught. The Buddha did reject what he called the extreme view of “eternalism,” which holds that there is such a thing as an eternal and unchanging self. But he rejected with equal force what he characterized as its opposite extreme: “annihilationism,” or the view that there is a self that is destroyed at the time of the death of the physical body. 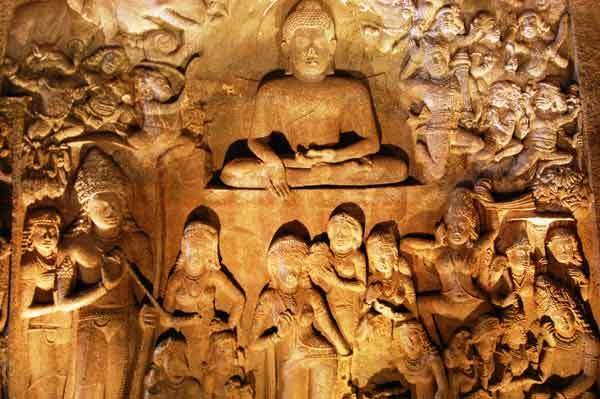 The Buddha also taught, if the earliest accounts of his teaching are at all a reliable guide, that rebirth is real. This was not so much a doctrine that he promoted as one that he took for granted, routinely telling stories about his own past lives and those of his disciples in order to convey moral lessons. These stories are collected as the Jātaka tales: classics of ancient Indian literature. Traditional accounts of the night of his great awakening under the Bodhi Tree characterize this awakening specifically in terms of a series of stages that include a recollection of all of his own past lives, followed by a perception of the past lives of all the beings who had ever lived. At the same time, though, the denial of rebirth, or the denial of the soul, or of any higher spiritual reality, can itself become an object of attachment just as much as the affirmation of these things can do. Both believers and deniers have done abundant damage to their fellow beings in the name of their respective ideologies. The problem, it seems, is not so much with the content of a belief as the attitude with which it is held. All of our beliefs need to be held in a way that allows us–indeed, that encourages us–to interact lovingly with our fellow beings, not in a way that creates hatred and lingering ill will. It is not our beliefs that are the problem, so much as inappropriate attachment to them. This also means that one might differentiate the question of the relative truth or falsehood of particular beliefs from that of how destructively or otherwise immorally people might behave in their name. Some beliefs, of course, by their inherent logic, might tend to lead those who hold them to act out in destructive ways, such as a belief that one’s own ethnic group or nationality or religious community is superior to all others, and that guarding its safety and prosperity outweighs all other considerations, even the basic human rights of others; or the belief that the physical environment is a mere resource to be exploited and not a sacred reality to be honored. Other beliefs might also tend to lead toward positive behaviors, such as the belief that there is an inherent divinity and dignity within all living beings that commands one’s respect and affection. But even these more positive beliefs–true beliefs–can be held in a clinging and fanatical way that ends up undermining their transformative potential. If we can differentiate the true from the false, the real from the unreal, in as dispassionate a manner as possible, reflecting our honest observations, then true belief is possible. The Buddha teaches us, however, that we must be ever mindful of our tendency to cling to beliefs, and to hold even true beliefs for the wrong reasons. In short, clinging to beliefs out of attachment produces suffering. There are true beliefs and there are false beliefs–or rather, there is a continuum or scale of relative truth, given that ultimate truth cannot be fully grasped by language. Our words, as Alfred North Whitehead says, “remain metaphors mutely appealing to an imaginative leap.” The Buddha taught that certain things were the case, and that certain things were not. It is not that one must not hold any beliefs at all, but that they must be held in a way that is always open to new insight, to the emergence of deeper levels of truth, not grasped dogmatically or fanatically. One might find the idea of rebirth either comforting or terrifying (or both). To deny it, though, requires one to ignore or to explain away such phenomena as past life memory in small children. To affirm its impossibility in a universe made up of material forces alone requires one to dismiss the implications of quantum theory. And of course it sets one at odds with the teaching of the Buddha himself. If there is no self, though, as the Buddha teaches, what, then, is reborn? The Buddha had a ready answer to this question, in the form of his teaching of the pañca skandha, or five aggregates: form, sensation, perception, habitual tendencies, and consciousness. In other words, the Buddha taught that what we falsely call (and cling to as) a “self” is not a self, but a continuum, a flow of events. The word “self” is like the word “river.” And as a similarly minded Greek thinker of the same period, Heraclitus, tells us, we cannot step in the same river twice. We may try to do so. We may think that we are doing so. But the water flowing over our foot the second time is not the same water that flowed over it the first time. That water has already gone downstream. It has passed away, to wherever all past events go. We are not, literally speaking, the same being from moment to moment. The stream of our consciousness is ever flowing, its contents changing–sometimes subtly, sometimes dramatically–from moment to moment, and from lifetime to lifetime. 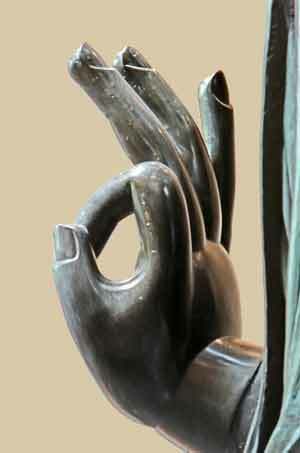 A “self,” on the Buddha’s understanding, has two qualities: independence and eternality. In other words, a self is something whose existence is utterly unaffected by and utterly unrelated to anything else, and it is something that does not change. According to the Buddha, no such entity exists. All entities, rather, are interrelated and are in a state of constant flux. This is the doctrine of interdependent origination (pratītya samutpāda), or dependent co-arising, or–to use a term famously coined by the Venerable Thich Nhat Hanh–interbeing. It is a teaching identified by the Mahāyāna master Nāgārjuna with the concept of sūnyatā, or “emptiness”–the essenceless essence of all that exists. One could say, as some contemporary interpreters have done, that the Buddha is not so much denying a self as denying an entity that is independent and changeless. In other words, one could say that the Buddha is affirming not an essentialist self, but a process self, a self that is interdependent with all other beings and in a state of constant flux. This is a fair interpretation, I think, of the Buddha’s teaching, if one is coming from a context in which the meaning of the word “self” has the pliability to allow for it. One suspects, however, that the Buddha, for whom “self” simply means “that which is independent and changeless” would find such an affirmation akin to saying there is such a thing as a round square, or a square circle. A “process self” would likely be, for him, an oxymoron. This suspicion is born out by the reaction of other Buddhist schools of thought to those Buddhists–the Pudgalavādins, or Personalists–who sought in ancient times to affirm just the same idea of self-as-process that modern interpreters of the Buddha have put forward. The Pudgalavādins taught that the “self”–or rather, the “person,” or pudgala–is simply a designation for the coming together of the five aggregates at a given moment in time. Again, this is not an unreasonable way to think of personhood in Buddhist terms. But the aversion to the term “self” runs deep in Buddhism, and the rest of the tradition rejected this approach. “Self,” from a Buddhist perspective, is at best a handy conventional designation. Just as, to cite the famous dialogue between the Buddhist monk Nāgasena and the Indo-Greek king Milinda, one uses the term “chariot” to refer to the coming together of certain parts–an axle pole, wheels, a cart–thus one uses personal terms such “Nāgasena,” “Milinda,” and “Jeffery D. Long” to refer to the coming together of the five aggregates. But there is no essence of the person, just as there is no “chariotness,” hiding within these constituent parts. At its worst, “self” is the ultimate object and locus of all clinging, all attachment, and so of all suffering. This is why it is to be eliminated, and the concept undermined at every turn of the spiritual life. A Vedāntist could well object at this point that this is really no different from Vedānta. In Vedānta, too, “self,” meaning ego, is to be eradicated. In the Advaita tradition, ego is the chief obstacle, the final form of māyā covering over and standing between a spiritual aspirant and the realization of Brahman. In more dualistic forms of Vedānta, the ego is to be subordinated to the Lord, and finally submerged in the ocean of bhakti, of devotion to the One who is the true Self, the true essence of this universe: the Paramātman. We get rid of the lower self to realize the higher Self: our true nature, as opposed to the false ego, the false construct which the Buddha rightly and accurately describes and characterizes. This is where the Buddhist objects–as Walpola Rahula famously and bluntly does–that if this is what the Buddha meant, this is what he would have said. Consistently, however, at least throughout the Pāli scriptures widely taken to represent the earliest, most authentic record available of the historical Buddha’s teaching, the Buddha simply rejects the term “self” wherever it arises. It is true that there are suggestions in various places in the Buddhist literature–both Pāli canonical texts, as well as later Mahāyāna and Vajrayāna texts–that the Buddha is using language strategically when he insists on no self. Might it be that the Buddha does not truly reject the ultimate reality that the Vedānta tradition calls ātman, but rather rejects any attempt to reify or objectify it–attempts which might result in its becoming an object of attachment, or in its conflation with the empty ego? What evidence could be offered for such an interpretation, such a “Vedānta-friendly” reading of the No Self doctrine? One scripture that can be cited in this regard is from the Pāli canon itself. In Udāna 8.3, the Buddha says, “There is, monks, an unborn, unbecome, unmade, unconditioned. If, monks there were not that unborn, unbecome, unmade, unconditioned, you could not know an escape here from the born, become, made, and conditioned. But because there is an unborn, unbecome, unmade, unconditioned, therefore you do know an escape from the born, become, made, and conditioned.” The Buddha does not refer to the unconditioned as a self; but it certainly meets the description that a Vedāntist might give of the higher or true Self beyond the ego. The idea that there is some higher reality, some deeper existence into which one becomes absorbed in the experience of nirvāṇa–which essentially means “absorption”–becomes even more evident in the later Buddhist literature of the Mahāyāna tradition. One might of course object that this literature is not “authentic,” in the sense of having been uttered by the historical Buddha (though there are Mahāyāna Buddhists who would contest this objection). But one can respond to this objection that “authenticity” can take many forms and that a statement might be true to the spirit and intent of the Buddha’s teaching even if it was composed many centuries after his time. In Mahāyāna thought, ideas emerge such as the ālayavijñāna, the “storehouse consciousness” in which all possibilities for a future experience exist–the place, mentioned earlier, where all past events go, the inspiration for Carl Jung’s concept of the collective unconscious, and akin to Alfred North Whitehead’s concept (building on Plato’s) of the divine memory. 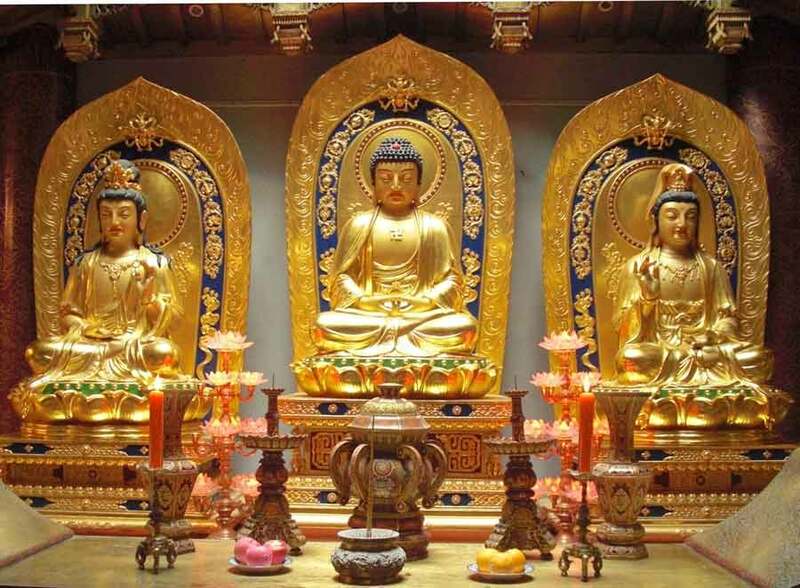 There is the dharmakāya, the truth or teaching body of the Buddha, which consists of the sum total of all metaphysical truth, and which the Buddhist master Bhāvaviveka tells us is what the Brahmins are referring to when they speak of “the Supreme Brahman.” There is the tathāgatagarbha, the potential of all beings to become Buddha–called, in East Asia, Buddha Nature–which according to the Mahāparinirvāṇa Sūtra is “nothing other than the Self (ātman).” And of course the Bhagavad Gītā–certainly not a Buddhist text–puts forth a similar implication in its use of the term brahmanirvāṇa, characterizing nirvāṇa specifically as absorption in Brahman. Theravāda Buddhism scholar Steven Collins characterizes the Buddhist rejection of the term “self” as a “linguistic taboo” that served, among other purposes, to differentiate the Buddhist tradition from other traditions of ancient India which deployed the term “self” ubiquitously. How ironic, that No Self should become, in a sense, a self: the marker of a collective identity. And it is a sad truth that, as peaceful as the history of Buddhism has been in comparison with that of many other traditions, Buddhists have not been wholly free from the seductive lure of collective selves, as evidenced in the rival nationalisms that fueled the tragic civil war in Sri Lanka in recent years. It may appear the direction in which this essay is moving, particularly given its author’s professed Vedāntic proclivities, is toward suggesting, as modern Vedāntists from Swami Vivekananda to Sarvepalli Radhakrishnan have done–much to the expasperation of many good Buddhists, such as Walpola Rahula–the conclusion that the Buddha was really a Vedāntist all along, and that No Self is not really a denial after all of the Self that is so central to Vedāntic thought, but simply of the empirical ego, which Vedānta is one with Buddhism in rejecting. This is, however, not quite the case. The suggestion, rather, is that both traditions, the Buddhist and the Vedāntic, point beyond themselves to something to which neither the term, “Self” nor the characterization “No Self,” is fully adequate. Both are forms, in the end, of spiritual practice, to which philosophical rumination is ultimately subordinate. In the end, these traditions are about an experience, not a mere description, of reality. Leesa Davis, in her comparative study of Advaita Vedānta and Zen, puts the matter in the following way, “Despite the ‘all-self’ ontology of Advaita and the ‘no self’ (empty) ontology of Zen, both traditions reject any objectification of their ultimate non-dual expressions: brahman in Advaita and śūnyatā in Zen.” (Davis, p. 187) Although Davis is careful not to conflate these two traditions, the reader may be left wondering whether the contrast between the ‘all-self’ ontology of Advaita and the ‘no self’ ontology of Zen is not, itself, an example of the kind of dualistic thinking which both traditions urge their practitioners to overcome. Once, I was walking with my guru along the beach of Cape Cod. My guru instructed me, in a phrase which I have since come to see as a kind of Vedāntic koan, to “See the ocean without seeing the waves.” I took this to mean, “See the eternal Brahman beyond its appearances, beyond māyā.” Look to the truth beyond mere appearance. I have since wondered, had my guru been a Zen teacher, if he might have said, “See the waves without seeing the ocean.” Look to the concrete moment, to the here and now, and not to some abstract essence of existence. Might these not simply be parallel paths to the realization of the same infinite mystery?